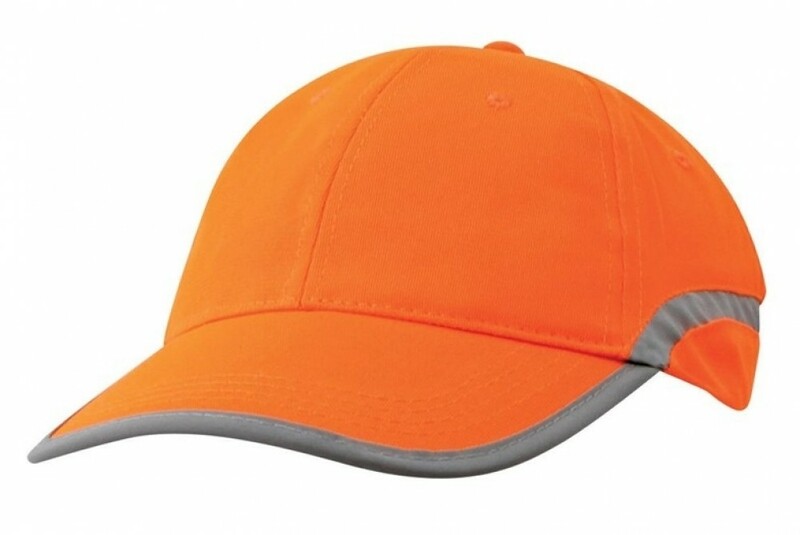 This high visibility cap comes in a choice of a bright orange or yellow colour, ensuring that the wearer can easily be seen by motorists from far, making it ideal for runners, cyclists, motorbike riders and walkers, both during the day and at night. It is manufactured from super lightweight polyester, a durable fabric that is resistant to creasing, stretching, wrinkling and shrinking. Polyester is easy to maintain by simply washing in warm water and allowing it to air dry and can also be dry-cleaned without causing damage. The design of the cap is laid back, ideal for the younger generation who wear them to rugby, footy and other major sports events. A reflective strip along the peak edge and side panels offer great visibility from a distance when lit by car headlamps. Offer these caps to clients who attend your next outdoor or sporting event. They make functional promotional items that are sure to be worn once your event is over, showcasing your brand for all to see.